The Tom DeSteno Trio — Tom DeSteno (drums), Jack DeSalvo (guitar), and Mark Hagen (contrabass) — brings a unique vision to the jazz repertoire, respecting the tradition while approaching standards, jazz classics and original compositions from a modernist perspective. Their music is harmonically inventive and rhythmically rich; totally engaging for both the connoisseur and the casual listener. "This mostly fiery affair is an engaging and magnificent record. The musicians are inspired by their collective energy and strong compositional frameworks, informed by the spirit of the 'New Thing' era while still remaining fresh. "—Jay Collins, One Final Note. Drummer/percussionist Tom DeSteno has been studying and performing with various bands and ensembles in the greater New York area since he was seventeen. Teachers of note include Billy Cobham, Joe Morello, Bernard Purdie and Carl Wolf. DeSteno performed and led his group the "Multi Cultural Ensemble" in many venues such as the New Music Café, Renee Weil Concert Hall, Greenwich House Music School, Village Gate, and the JVC Newport Jazz Festival. This unique band played a wide cross section of new music and free jazz which included the use of traditional ethnic instruments from around the globe. As a leader, he has four CDs to his credit on the CIMP and Cadence Jazz labels that received outstanding reviews in Jazz Times, Cadence Jazz, One Final Note, Wire, AJRC Music Journal, and many other magazines and periodicals. DeSteno has performed and recorded with Fred Hopkins, Jemeel Moondoc, Roy Campbell, William Parker, Cameron Brown, Dominic Duval, Jason Hwang, Zane Massey, and Gerald Vesley, among many others. Guitarist Jack DeSalvo has been hailed by Wire magazine as "a master player". Rolling Stone gave an extremely rare four star review when Jack lent his playing to Red Warrior for jazz great Ronald Shannon Jackson. "To label Red Warriorfusion is to deny its impact. Perhaps we should simply call it heavy-metal jazz. "—Rolling Stone 605. DeSalvo's recording Liquid Stones with vibist Arthur Lipner on the Tutu label brought this review from Cadence magazine: "Using both acoustic and electric instruments, Desalvo demonstrates technique, intelligence and imagination with a broad streak of lyricism and passion in what amounts to one of the better guitar voices to be heard in improvised music these days." DeSalvo has performed and recorded with a quartet featuring Karl Berger, Anthony Cox and Tom Tedesco. Their recording, Transparencies, is on the German Belaphon label. 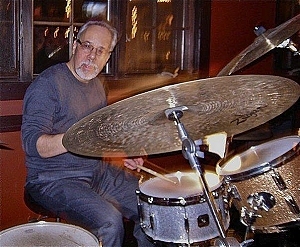 He has played with The Chris Braun Trio, Tony Malaby, Drew Gress, Chris Kelsey, Melvin Gibbs, Pat Hall, Jorge Sylvester, the alternative rock outfit They Might Be Giants, and in Europe with Peter Brotzmann and the Miles Davis band. Bassist Mark Hagen has gained a reputation as a solid bassist and composer. He earned a bachelor's degree in composition with honors from The Berklee College of Music while also working throughout the Boston area as a freelance bassist. Mark then continued his education with a partial scholarship to do graduate studies in bass with Miroslav Vitous at the New England Conservatory. It was at this time that he started getting calls to play in New York and decided to continue his graduate studies at the Manhattan School of Music. He has been performing throughout the NYC area in clubs, concerts and shows on and off Broadway as well as traveling throughout the world for various tours. Mark has performed and recorded with David Sanborn, Bill Frisell, Dakota station, Larry Golding, Mike Stern, David Amram, Boddy Radciff, Mick Goodrick, Bernard Purdie, Mike Clark the Benny Goodman Orchestra, and many other prominent musicians.